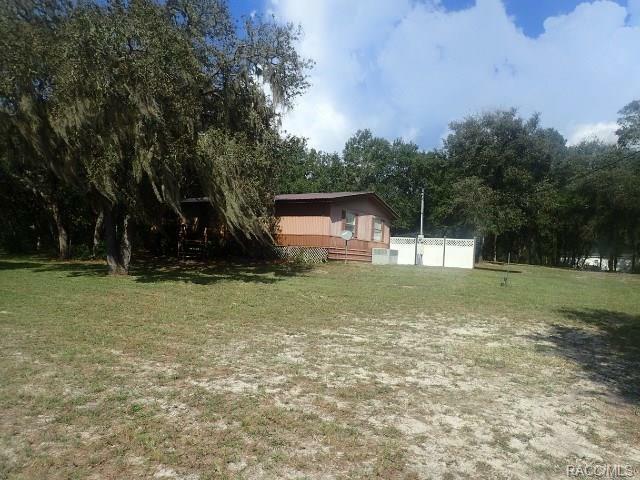 Quiet country setting with mature trees, completely fenced on private road just off Citrus Ave in the mini farms. This clean mobile has a lot to offer. New Roof over, covered carport, covered porch. Inside laundry with washer and dryer. Kitchen has island/bar with double sink. Dining room, carpeted living room, converted bedroom turned into family room. Carpeted guest bedroom. Guest bath offers tub/shower combination. Master with walk in closet, private bath offering tub/shower combination. Directions: Us 19 To Citrus Ave, Turn Right On Adirondack Street, Right On Carpathian, Home On Left.